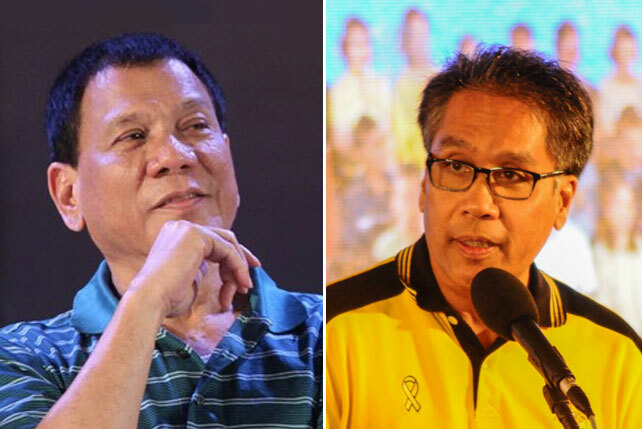 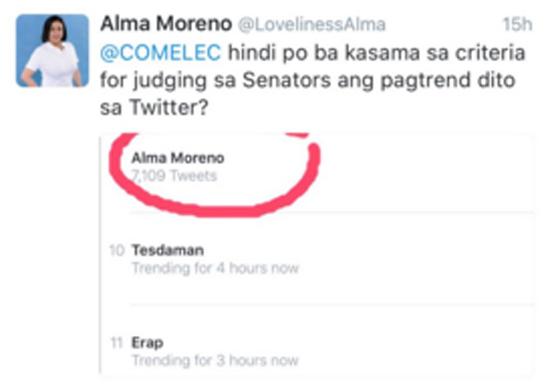 @LovelinessAlma was on a roll during the May 9 elections. 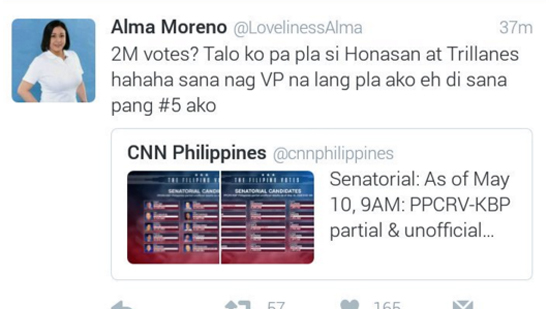 (SPOT.ph) We probably don't need to refresh your memory, but actress and senatorial aspirant Alma Moreno gave an interview in November 2015 that was...awkward, to say the least. 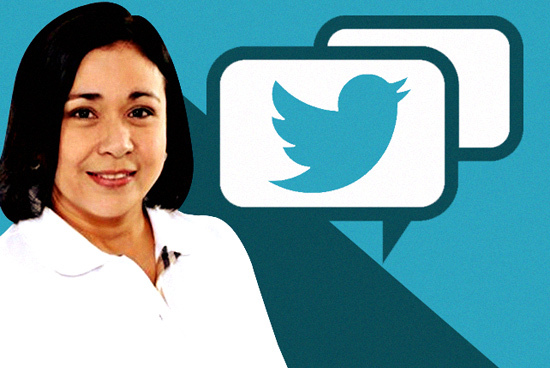 It drew flak because of her mind-boggling answers ("Pills!" 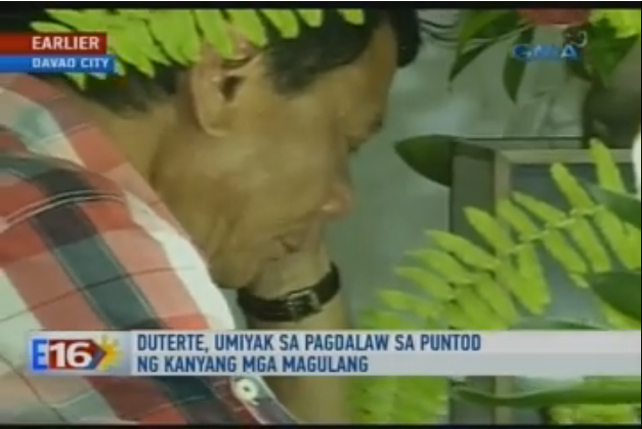 and "Dasal lang talaga," anyone? 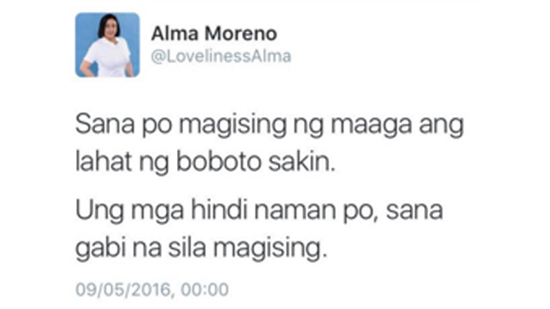 ), and gave rise to various memes and parodies. 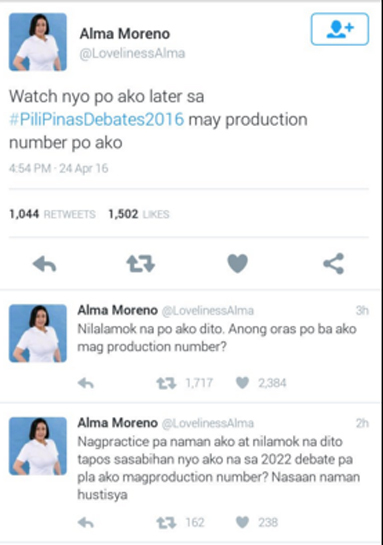 Happily, that interview spawned the Twitter account named "Alma Moreno" (@LovelinessAlma). 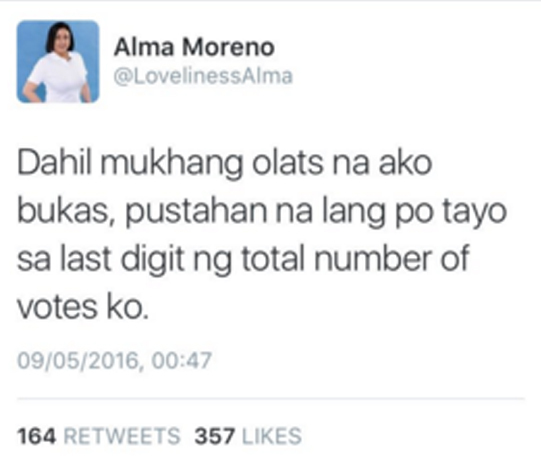 Not really owned by Alma Moreno, we'd like to specify. 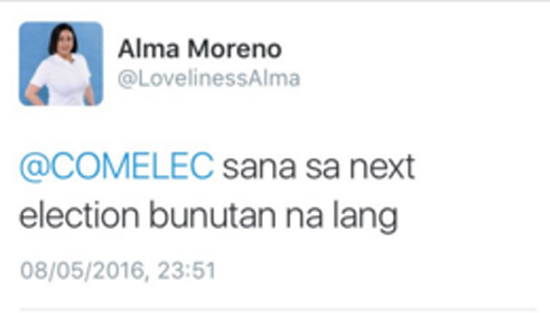 But many of "Alma"'s tweets give the real Alma a run for her money, especially the ones the account posted during the May 9 elections.